Dana Dairy is world’s No. 1 baby formula manufacturer. DANALAC infant formula – baby milk, is Dana Dairy’s proud answer to all hungry babies of the world. As our flagship product, our infant formula is produced in three stages for infants of up to three years of age. 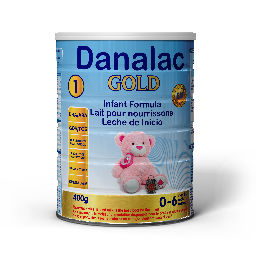 We manufacture DANALAC infant formula with just the correct amount of nutrients and vitamins that a newborn’s growing body needs. The three stages are designed so the infant’s nutrient requirements at different phases of growth are adequately met. This top quality baby milk product by Dana Dairy is a definite market winner. Our infant formula comes in great looking tins of 400 and 800 grams as well as the new bag-in-box format designed to look just great on your store or pharmacy shelves. Contact us below for more specification details. 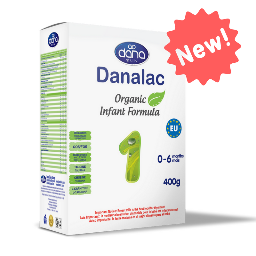 With DANALAC infant formula, you are bringing a top quality baby food item – made by a world’s leading baby formula supplier and manufacturer – to your local pharmacy and infant market. Baby’s body nutrient requirement changes rapidly during the first years of its growth. That is why DANALAC infant formula comes in three stages to be able to provide the right amount of nutrition the baby needs during the specific phase. 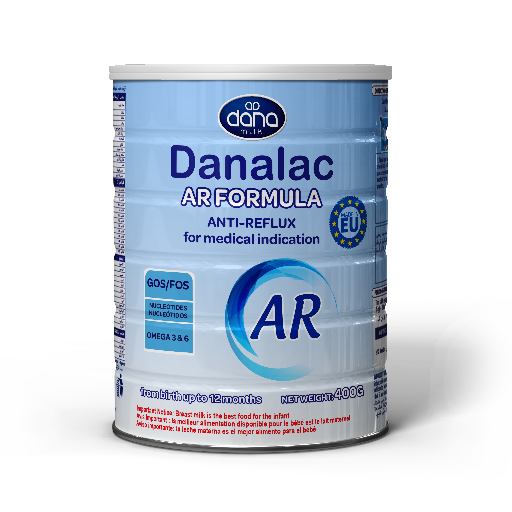 DANALAC Standard infant formulae in three stages provide all necessary nutrients that are important for proper development of baby’s healthy growth during the first months of his/her life. Folic acid maintaining functional integrity of nervous system and also optimizing cell growth. Iodine, iron, and taurine are also there for helping brain development and formation of eye-sight organs. In addition, this formulae contain Prebiotics (FOS/GOS) which promote easy digesting and prevent infections and Nucleotides supporting the immune system development. The stage one is specifically designed for the baby from the time it is born until up to six months. The product comes in a blue colored tin can with an easy-open feature. As the baby enters its second six months of its age, a number of nutrients and vitamins need to be adjusted so full and healthy growth can be ensured. Our stage two comes in a pinkish color tins with a nice design for a great and fast moving product. And, ultimately stage three formula is intended to cover the next 2 years of baby’s most important growing period in its life. Again the right amount of nutrients are designed in this product to ensure healthy and happy growth for children. The product is packaged in green tins with easy-open caps. 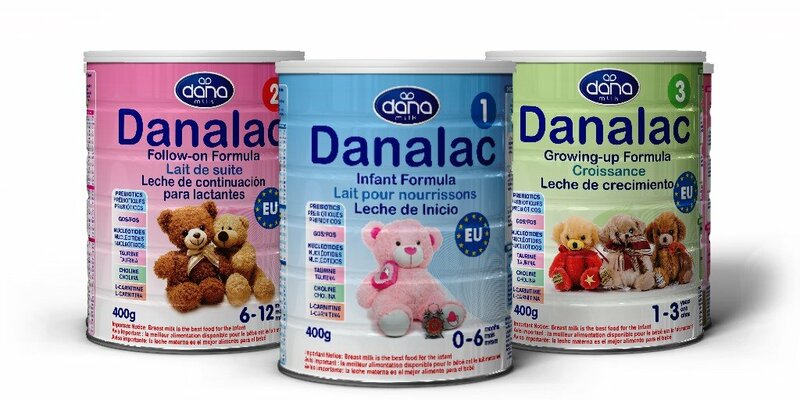 DANALAC’s same wonderful infant formula that traditionally were delivered in tins, now are also delivered in easy to handle and carry packages. Our baby formula is packed and sealed in air-tight special sachets and then are put into nicely designed paper boxes. The packaging provides for lower prices into the hands of your end customers. We deliver our bag-in-box baby milk powders in 350g, 400g, and 800g configurations. 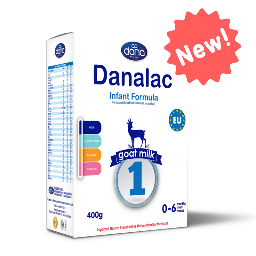 DANALAC infant goat milk formula is manufactured using specially formulated and developed combination of ingredients to suit to specific needs of babies from newborns to three year olds. This product is made from high quality goat milk and other nutrients and is produced in Europe and in accordance with European quality standards. 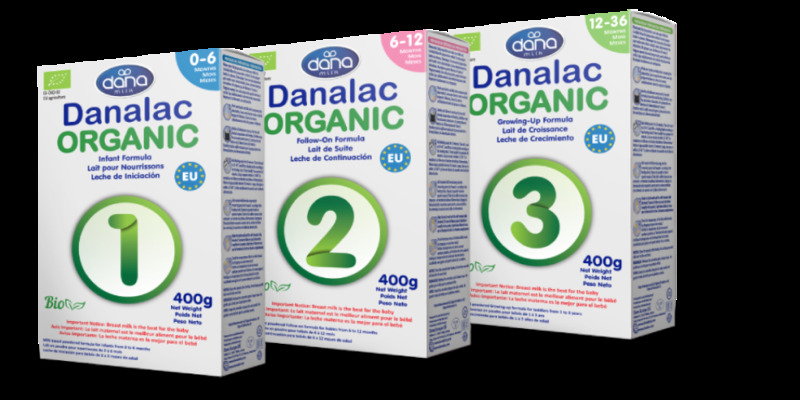 DANALAC organic infant milk formula is manufactured and produced in our new production facility in Sweden in bag-in-box format. We are currently using the same formula as our advanced GOLD formula for this product but with all organic ingredients. We produce our organic formula from high quality ingredients sourced locally as much as possible. And, we introduce our Gold Formula, the ultimate baby formula that contains Prebiotics and Nucleotides. Additionally, we have added Probiotics which are key player in preventing intestinal infections and reduce risk of allergic reactions. Also added are DHA/ARA to contribute to the healthy development of baby’s brain and vision. Furthermore, we have added Bifidobacteria to balance the intestinal flora and help develop healthy immune systems. 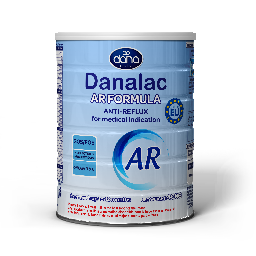 DANALAC AR Formula or Anti-Reflux contains important nutrients for the first 12 months of baby’s life. Our AR Formula is a specially thickened infant formula, designed to help feeds to stay down. This thicker feed helps to reduce the symptoms of reflux and regurgitation. This AR Formula also contains additional nutrients such as Prebiotics to help ease digestion and prevent infections; Nucleotides to help immune system development; and DHA to contribute to brain and vision development. Yes, DANALAC thinks about moms too. This special food supplement is made for pregnant women as well as nursing mothers. With deep understanding of what moms need during these times with regards to energy and nutrients. 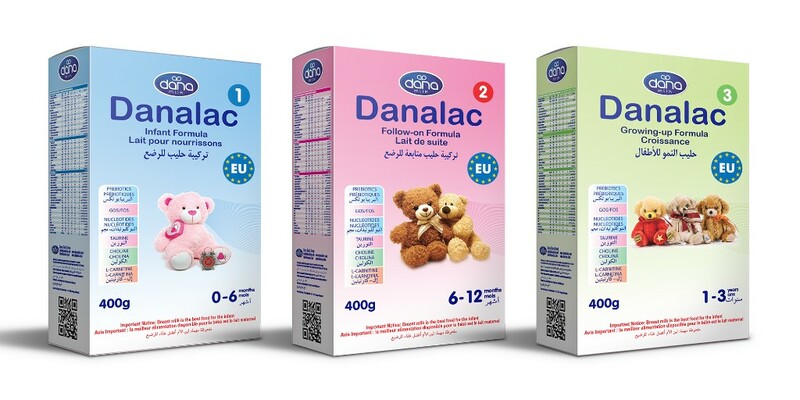 We have enriched the DANALAC Mom formula with various types of vitamins, minerals, DHA & Bifidobacteria. What the mother eats significantly affects her child’s future life. Only healthy food provides the best quality breast milk. Healthy mum – healthy baby! Dana Dairy® is world’s leading producer, manufacturer, and supplier of dairy and milk products as well as infant nutrition items such as infant formula and baby cereals. DANALAC is our world-known brand and carries our mark of pride and excellence. DANALAC brings wholesome nutrition to the world.